Coastal megacities across Asia have experienced devastating floods in recent years. Studies project dramatic increases in populations prone to chronic flooding and potential permanent inundation of densely populated urban areas in future decades. The uncertainties presented by future flood risks disrupt prevalent state visions of globalization‐driven prosperity. The emerging reality of a shift in relationship between water and urban settlements has begun driving recalibration of power relations around a range of issues, including longstanding contestations over infrastructure delivery, housing, land rights and political representation. Flood mitigation efforts have played out in debates over displacement and eviction, and distributional concerns about the costs and benefits of these initiatives. This article develops a conceptual framework for assessing the implications of projections of flood risk for urban political theory. 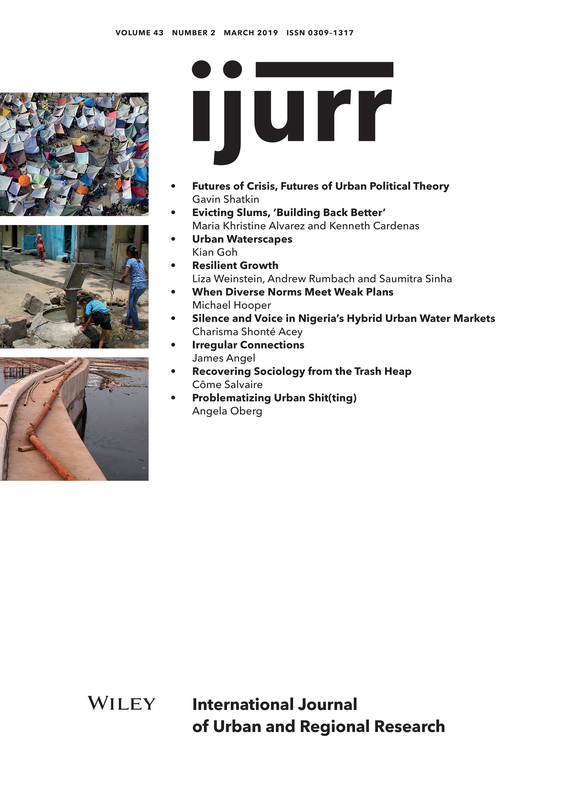 The article begins by identifying political contestations that emerge around the varied ways water intersects with urban processes—through dynamics of permeability, flow and drainage, aquifers and pipes, and coastal defense. It then explores how projections of the crisis of flooding have reshaped three contemporary debates in urban politics: those around property rights and the question of ‘informality’; around neoliberalization and financialization; and around the rescaling of the state. Finally, it briefly deploys this framework to examine the case of Jakarta.